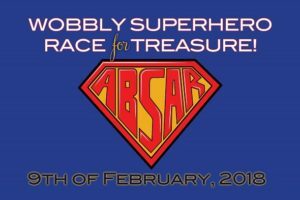 Wobbly Superhero Race for Treasure! Come dressed as your favorite superhero for a fun-filled treasure hunt starting at 1pm with a BBQ at the Cat Club. Participant briefing at 2:30pm, treasure hunt starts @ 3pm. Max twenty teams, $100/team. All $ benefits ABSAR. Plenty of food & drinks for sale – if you can’t do the treasure hunt, come participate in the Hot Wing or Rum Punch Competitions! Two action packed days of racing, three party nights and a Junior. Regatta bought together sailors, visitors and residents of Jolly Harbour for an unparalleled weekend.